My mom is a great cook. She cooks every day from scratch, just like her mother used to do. It’s a natural thing for her. I remember her often saying that she doesn’t mind cooking. It’s the dreaded “what to cook for dinner tonight?” question that drove her crazy. Having to face it every. single.day. is the killer of joy in the kitchen. If only someone came up with ideas for what she should cook! I don’t know why, but menu planning was not a thing in Russia back then (is it now?). Well, it didn’t happen overnight for me, but I did figure out the way to keep that joy of cooking alive, and keep my family of six fed and happy. Throughout the years I tried different systems for a while, but they did not stick. At first I thought I am just not trying hard enough, until I realized: they fail because they do not fit my lifestyle. If a menu planning system didn’t work for you, it doesn’t mean it is a bad system or you are a bad planner– it just means, it does not fit your particular lifestyle. I thought I will share my experience in case you are struggling to find what works for you, like I did in the past. These plans don’t offer enough flexibility: the lists of meals are generic, and don’t consider my family’s preferences, allergies, etc. They also don’t take into account what particular items maybe on sale that week in my grocery store. Some plans have more flexibility then others, but it is still someone who doesn’t know me and my picky eaters family that creates my menu. 2. Assigning a specific theme to each day of the week, Monday- “Seafood”, Tuesday- “Soup and Salad”, Wednesday- “Mexican”, etc…you get the idea. 3. Using specially designed “Menu binders” or print outs, or writing my menu on a pretty chalk board, etc. Pre-designed menu planning tools are too restrictive. There are always either too many or not enough lines for my weekly menu plan. Once I think I got every day covered and written down in my “Menu” print-out, something comes up and I need to switch things around, and scratching out commences: neither pretty nor helpful. Do you sense a theme here? Flexibility! I found that allowing for circumstances and being flexible was very important in making menu planning sustainable, something I could do long-term. Because life! There will always be reasons to switch things around. 1. Make a running list to cover 10-14 days: I keep adding to the list when I come across a recipe I want to try in the near future. This keeps me stocked up with meal ideas. I usually don’t dedicate a specific block of time to compile my list. I jot down dishes when I come across them (see #3 for sources). If I am not at home at that time, I put a note in my phone using “Notes” app., then write it down in the notebook when I have a chance. There is virtually no time commitment with this method. I assign numbers 1 through 7 (for days of the week) to the meals on my list, and can easily switch the numbers if I have to due to circumstances. 2. Use a plain compact spiral notebook. This way I can easily switch meals around if I need to, scratch out and add as I go. I am in control of the tool, not the other way around. For example, I have enchilada casserole planned for Monday, and shrimp with peppers in a creamy sauce for Tuesday. Comes Monday, and a kid gets sick and I need to make a trip to the doctor’s office, which takes all of the afternoon. No time to make the casserole, it will have to wait till the next day. I do have 20 minutes to quickly defrost the shrimp and throw some peppers in the skillet though. Quick switching around, no damage to the general plan. 2. Plan for leftovers: Brown more ground beef, saute an extra chicken breast, make more soup than enough for one meal. Then I either freeze the leftovers (“freezer stash”) or make them a part of another meal later in the week. Cook once, eat twice. 3. Look for ideas and recipes: online, magazines and cookbooks, Pinterest (here is my “Quick dinners from scratch” Pinterest board), poll my people– ask if they have any requests. I keep the most popular recipes in a folder in the kitchen cabinet, along with recipes to try (which then get moved into the “popular” category, or get tossed). 4. Think in terms of protein sources: chicken, beef, pork, seafood, legums, etc. I don’t want three “chicken” days in a row for example, but plan a day per each source, spreading them evenly throughout the week. And that’s the base of the menu. Once I have chosen protein, I add sides, typically a veggie and a grain/pasta/potato. I start with the “protein” that I already have, and then see if I need to buy more. This is it in a nutshell. I am not a crafty kind, and I can’t spare a minute (nor do I have a lot of spare minutes) to do anything more elaborate than jot a list of meal ideas in my trusty notebook. I am sure this system will evolve when our lifestyle changes. But for now it fits us perfectly. Once you find a system that works for YOU, you will not go back, I promise. What are your thoughts on menu planning? 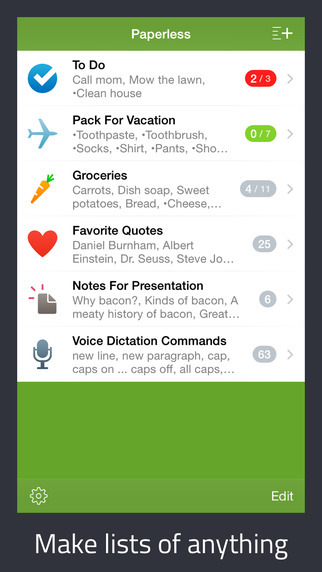 Are gadgets and visual organizers your thing, or maybe you have a unique menu planning system of your own? Please share in the comments! I’ve really got to do a better job at this. My problem is that I make a meal, and I’m left with one portion of something. I have to figure out a system for my leftovers. I threw out so much food this week – I hate that! I think you and I see things the same way in menu planning. I really try to keep things simple. We did The Fresh 20 weekly meal plans for a while, but I just felt overwhelmed by the prep and didn’t like all of the meals, plus sometimes the groceries we needed were expensive. We try to keep it simple, shop sales, and just have some go-to meals that we eat often. I have done a few freezer meal parties which brought home 10+ meals, and took the pressure off meal planning for a few weeks. Thanks for linking up with Tuesday Talk! I love freezer meals, I started doing it when I was expecting our fourth baby. Now I have modified it to fit our lifestyle better. I plan to write a post on that soon. So fascinating to see how other people make their menus work. I’m with you in not really liking menu plan subscriptions or using theme days. Right now, I’m not really doing much planning ahead and just last week I realized something HAS to change. I found a simple reusable type of plan on Pinterest that I’m setting up and going to try. But if that doesn’t work, I like your idea of keeping a running meal list. I do that sometimes now, but haven’t been super intentional about it. Ps. I’m enjoying perusing your blog. Fun stuff here! Thanks, Lydia! 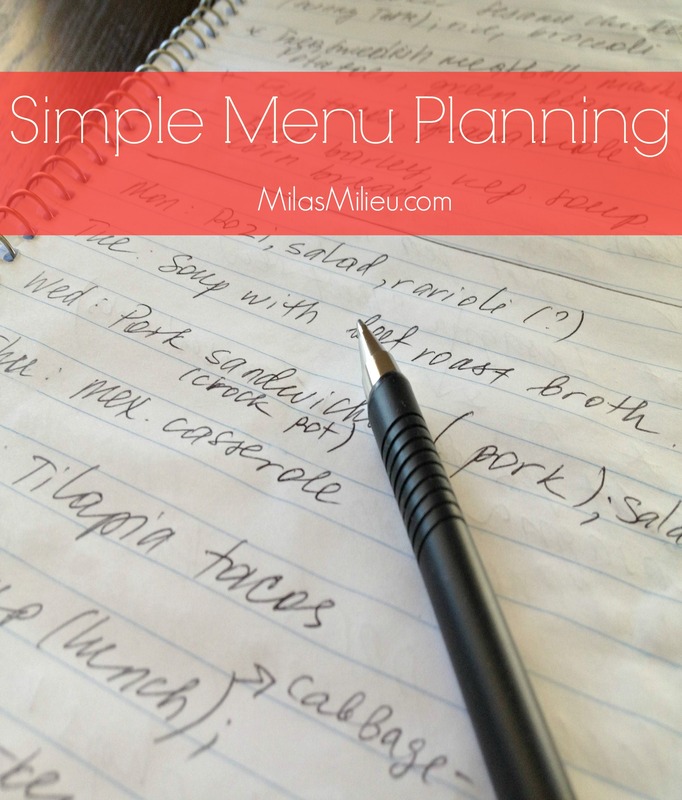 So true that everyone has their own way to go about menu planning, it takes some time to find what works best for your family, and then it becomes a habit.